My troubled teen Cass has put up a new video in her 'My Crappy New Life' series. To her utter confusion she wakes up as a troubled seventeen year old girl whose name is Casey. Before she even leaves the hospital, she makes a deal with her parents. Then she arrives at her new home, a gigantic estate in Connecticut which she calls Ugly Taraville and looks in a mirror. Upon settling down on the toilet, Cass noticed the floor to ceiling mirror facing her and screamed at the sight of the creature within it. Short black hair spouted about its head, black circles surrounded both eyes and fell like triangular knives down the cheeks. Black lips, stretched in horror as if in a nightmare. Pulling up her pants, she moved closer to the mirror. She was a ghoul, an honest to God ghoul! The door crashed open and her father stared at her, fear and panic clear in his eyes. “If? Oh, I definitely want them removed,” she said. How can I turn around my life if I look like the walking dead from a low-grade monster movie? Daunted by her task of turning this life around, New Cass seeks friends on you-tube to tell about her crappy new life. You would think being a trust-fund baby worth billions would be fun, right? Cass is not happy with her new life at all. Nor with Old Casey who has burnt an amazing quantity of bridges and is making this turnaround exceedingly difficult. And her parents! Don't even get her started! 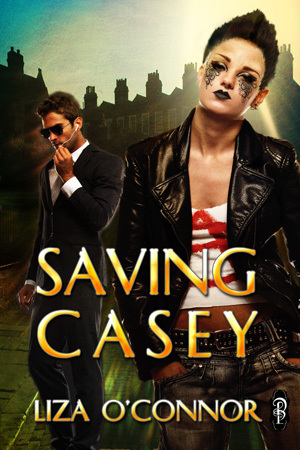 She decides to find out what sent Old Casey down this self-destructive path and discovers a horrible event in her past. I hope you are enjoying the videos. The young actress who plays the role of Cass is so authentic that I just want to hug her to let her know someone cares. She's not alone. But I have to tell, at this point in the story, Cass is feeling totally alone and bleak. This new chance to live is looking more and more like a punishment for skipping out on her pointless chemo therapies. PLEASE WATCH CASS' VIDEOS. OTHERWISE SHE WILL TRULY FEEL AS IF SHE'S ALL ALONE.